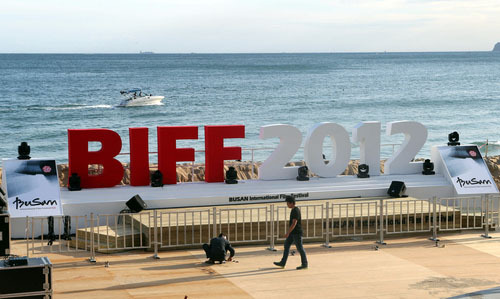 The most anticipated festival in South East Asia, Busan International Film Festival is drawing closer. Before the accreditation for the festival opens for this October event, it is time to give out some information and tips about this leading cinematic gala of the East. The 18th edition of the Busan International Film Festival (BIFF) will run from 3rd to 12th October in the city of Busan, South Korea. Most of the festival activities are concentrated in the Haeundae district, the beach resort area, east of the town centre. Was it not called the Pusan Film Festival? In 2000, Korea introduced a revised Romanization of Korean language system, and Pusan became Busan. One can see other examples in the names such as “Daegu” (previously Taegu) and “Gimhae” (previously Kimhae) where there is the Gimhae Airport that serves Busan. But don't worry: kimchi remains kimchi. Why should I go there? What are the highlights of the program? The festival is renowned for its Asian films programs and its cheerful and passionate audience. A Window on Asian Cinema offers spotlight on new or the most talked about films of the year by talented Asian filmmakers. New Currents, the international competition section presenting the first or the second feature films by up-and-coming Asian directors. Flash Forward, brings a collection of new narrative features from non-Asian filmmakers reflecting audacious creativities and expressing experimental voices with clear senses of cinema as an art form. The festival also showcases the best of World Cinema, as well as both retrospective and contemporary Korean Cinema. 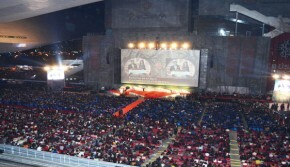 BIFF being the leading festival in the region, a lot of filmmakers, producers, buyers, sales agents, journalists, and festival programmers from Asia and beyond gather together during the festival. This is the right place if you want to meet people and widen your networks. BIFF offers Festival accreditation with access to festival and press screenings, guest lounge and Asian Film Markets venue, for filmmakers, festival delegates, and professionals of the industry and members of cultural institutions. Regular registration for a fee of 20.00 USD is available from 1st to 31st August 2013. Other accreditations are available for Press, Cinephiles and those interested in the film market events. It is advised to get the accreditation before hand! Not all events entertain on site accreditations. How to go to Busan then? Travellers to Korean usually arrive at Incheon International Airport, situated in the vicinity of Seoul. Unfortunately, this airport has little service to Gimhae (Busan) airport with only a couple of early morning and late evening flights. Gimpo Aiport, the domestic airport of Seoul, by contrast, offers numerous flights to Busan, operated by Korean Air and Asiana Airlines. There is one almost every 30 minutes. It is thus better to use Gimpo airport (around 40 minutes from Incheon airport by bus or train) and not to worry about booking a flight to Busan in advance as there are always seats available in the next hour on one of either carriers, and the price can often be lower when the ticket is bought there than booked abroad. Once arrived at Gimhae, taxi or bus can take you to Haeundae (30 to 60 minutes depending on the traffic of the day). Gimhae has also some international flight from some Japanese and Chinese cities. One alternative is to take the KTX train (speed train) from Seoul to Busan. The Busan station is connected to the subway network, which makes it easy to go to the Haeundae district. The seafront of Haendae is packed with deluxe hotels, which are quite expensive and usually fully booked during the festival period. However, the back streets are full of smaller motels with affordable rates, but it is difficult to book in advance there. Will my GSM mobile phone work there? The mobile phone system in Korea is different from GSM. At the airports and some other locations, you can rent either a roaming device that you can use with your SIM card or a handset with a Korean number, which is the best option if you plan to make a lot of local phone calls. Apart from watching films, what should I not miss? Jagalchi Fish Market is one of the most typical landmarks of Busan that should not be missed. This market is featured in the Korean blockbuster Friend.